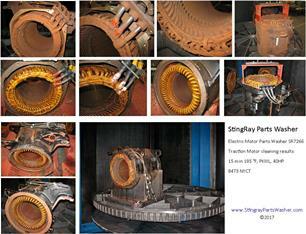 Results of various electric motor components cleaning in StingRay Parts Washers. 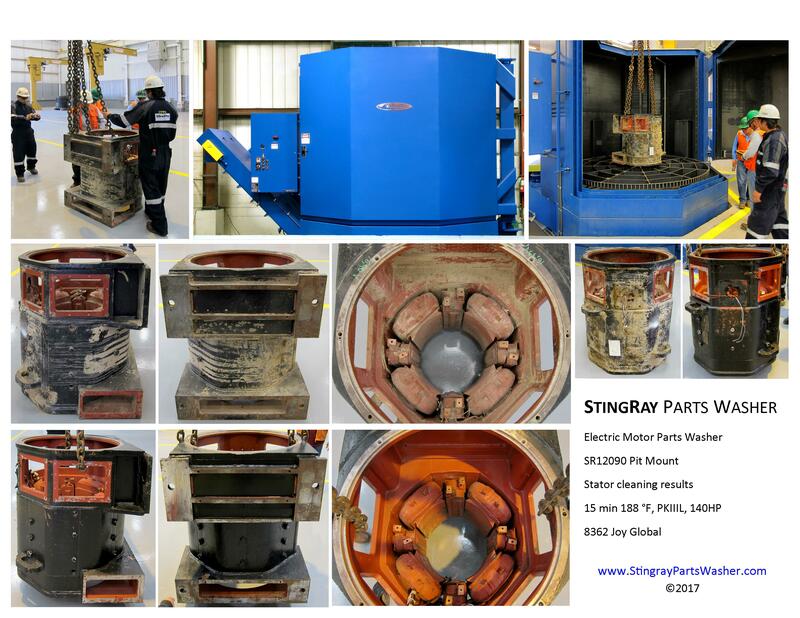 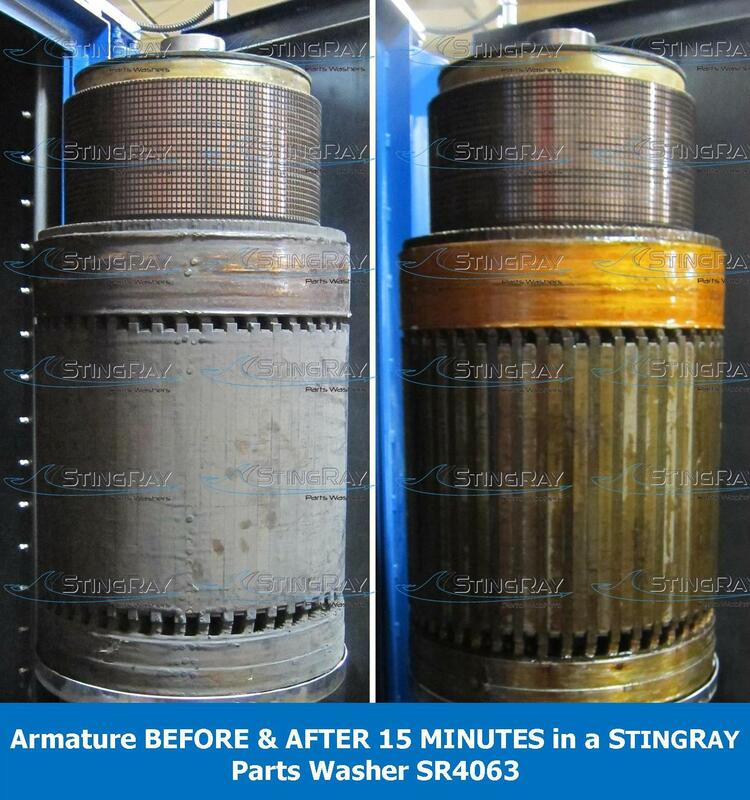 During start-up and commissioning of new StingRay machine installations the Service Technicians take photos of the parts washer in action to document the before and after results. 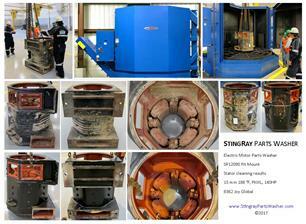 Click on the photos for an enlarged view. 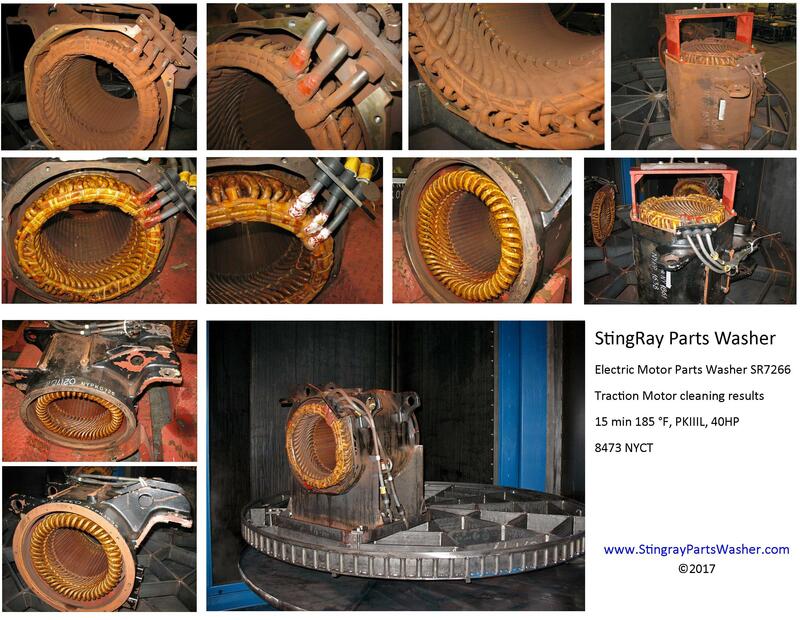 Traction Motor washing: The stator, field windings, high temperature insulation, frame, bearings and rotor are all cleaned in the StingRay. 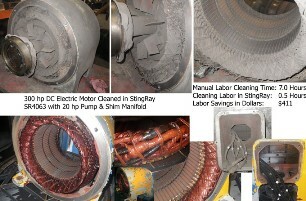 An example of electric motor rebuilding for mining equipment showing aqueous washing of the stator, frame and windings with soap and water. 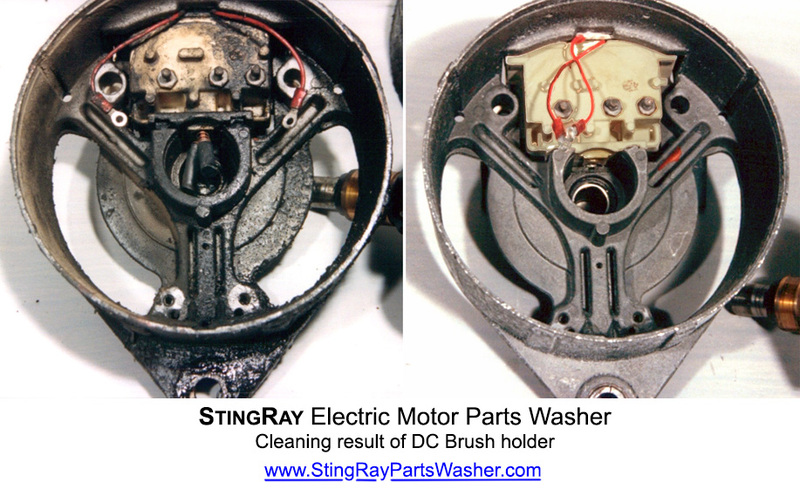 All types of electric motors and components parts are cleaned with water and special low conductivity detergents. 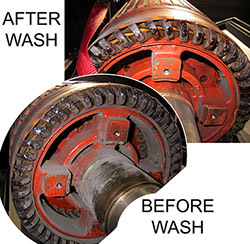 After washing, parts are rinsed with a heated fresh water and then dried.